In order to take advantage of most online casino bonuses, a real money deposit is usually required. When it comes to making a real money deposit to an online casino, there are plenty of safe, reliable options for Aussie players. We discuss the best casino payment methods available using AUD, which are accepted at our recommended casinos in the table below. Sign up for an account at one of our recommended casinos in the table above, where you can take advantage of some great new player welcome bonuses. Remember to select AUD as your chosen currency. When you’ve signed in, head to the banking or cashier section of the casino. Click or tap to select your chosen deposit method. Enter the amount of AUD you wish to transfer. Follow the prompts to complete your transaction. This will vary mildly depending which deposit method you’ve chosen. Funds are typically transferred instantly, so you can start playing real money games and claiming exclusive casino bonuses straight away. Deposits can be made on both desktop and mobile casinos. Credit and debit cards make up one of the most popular options when it comes to online financial transactions, and are widely accepted by online casinos. Our recommended venues accept payment using Visa, MasterCard and Maestro supported cards, which allow for some of the highest deposit amounts. When accessing a line of credit, it’s important to remember your bank may impose daily transaction limits, while some banks also impose additional transaction fees for online gambling. You can check with your bank if you have any queries regarding making a casino deposit using your Visa or MasterCard debit or credit card. 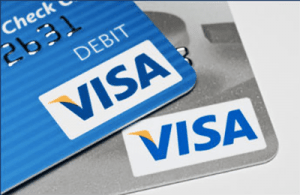 The Entropay Virtual Visa is a pre-paid card providing a good alternative for players who want to deposit using a credit card but want to keep their gambling transactions off their credit statements. 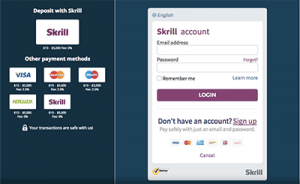 Web wallets, which are also known as e-Wallets, provide an extra layer of security for Aussie players, with the most widely accepted and trusted web wallets being Neteller, Skrill and ecoPayz. Rather than reveal your personal financial information to the casino, you sign up for an account with a web wallet service, which is free and easy to do. Instead of depositing directly to the casino, you deposit to the web wallet, and funds are held safely in your web wallet via an additional layer of protection provided by the service. When depositing to the casino, all you need to do is enter the login details for your e-Wallet, and funds will be transferred from the web wallet to the casino. This is also a great option for players who intent to gamble at multiple casinos, as it means you don’t have to enter your credit card or bank account details at multiple venues. Royal Vegas Casino offers an additional 10% bonus deposit for players who opt to deposit using Neteller, Skrill or ecoPayz. Head to Royal Vegas Casino to get the bonus promo codes for these web wallet deposit options. Prepaid cards, also known as e-Vouchers, make a great choice for players for are super wary about sending banking information online, or for those who wish to gamble completely anonymously. The favoured prepaid card by online casinos is Paysafecard, which is an e-Voucher purchased from real life retail outlets like newsagencies, petrol stations, lotto outlets and convenience stores, with thousands of retail venues available worldwide. In exchange for cash you receive a voucher with a unique pin number, which you can then enter at an online casino to transfer the cash amount directly to your casino account. There is no link back to your identity, and you don’t even need a bank account to use Paysafecard. 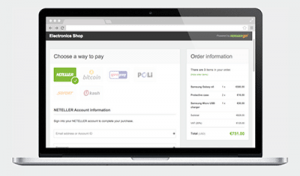 POLi is an online payment service available exclusively for Australian and New Zealand players and given its outstading reputation in the Australian market, it’s fast becoming a preferred payment method for many online punters. POLi payments are processed using your usual Internet banking account, so there’s no need to sign up for an additional account, plus none of your information is ever stored by POLi or the casino. When choosing to deposit via POLi, you’ll simply be redirected to your standard online banking log in screen, where you follow the prompts to process your transaction just like if you were paying a bill online. It’s a free service and is highly recommended for Aussies who would also like to support an Australian company. Deposits can be made directly from your bank account using SWIFT payment or by visiting your bank teller to make the deposit on your behalf. While this is a good option for players who aren’t confident with their Internet skills or don’t trust other payment options, it’s one of the slowest deposit methods and you’ll usually have to wait a few business days before you can play with your funds. If you want immediate access to your money, choose one of the payment methods discussed above. Old-school paper cheques are not typically accepted by online casinos, however if you’re adamant on paying via cheque some venues may be happy to make an exception. If you want to pay by cheque, contact the customer service team at your chosen casino to see if they’ll be willing to accept this method. If so, you’ll have to send the cheque internationally, so it will be a long process. Given the headache this could cause, we strongly recommend opting for another instant, widely accepted payment method. Is it safe to make a real money casino deposit? As long as you play at a reputable, licensed casino like the ones recommended on our site you can make real money deposits without having to worry about your safety. These casinos use a minimum of 128 Bit Digital SSL (Secure Socket Layer) encryption security which scrambles all information sent during a financial transaction to ensure your personal banking information can’t be intercepted by anyone else. If you’re still concerned about your safety when depositing online, choose a payment option like POLi, a web wallet or a prepaid card which provides an extra layer of protection. Make a safe AUD deposit at Guts online casino using any of the trusted payment methods discussed above, and claim up to $500 in matched deposits and 100 Super Spins.